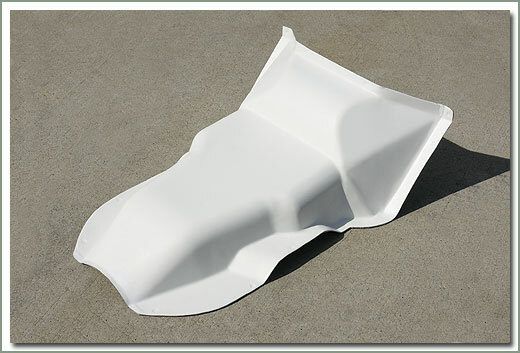 Fits 1968-1972 FJ40/45 - Can not be shipped via Parcel Post - too large! 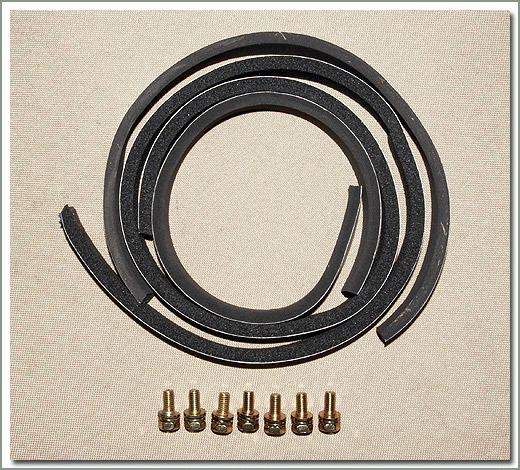 For precut transmission gasket set see #116-13A-PC, order separately. 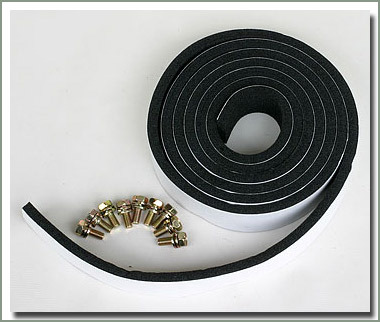 Fits 1973-1974 FJ40/45 - Can not be shipped via Parcel Post - too large! 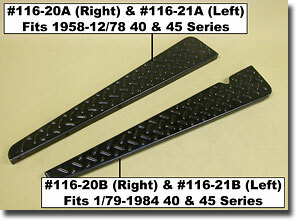 For precut transmission gasket set see #116-13B-PC, order separately. 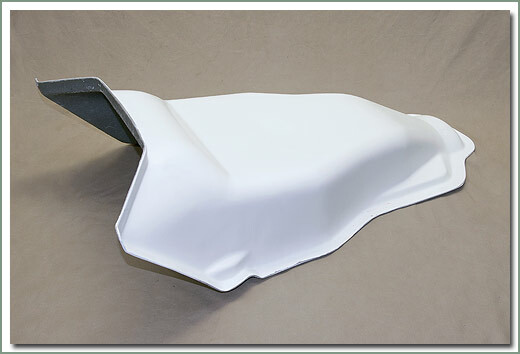 Fits 1975-1978 FJ40/45 - Can not be shipped via Parcel Post - too large! 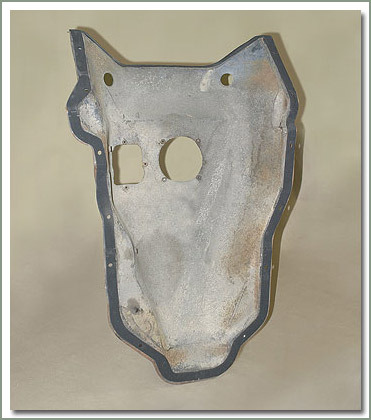 For precut transmission gasket set see #116-13B-PC, order separately. Toyota has discontinued the factory transmission hump gaskets. 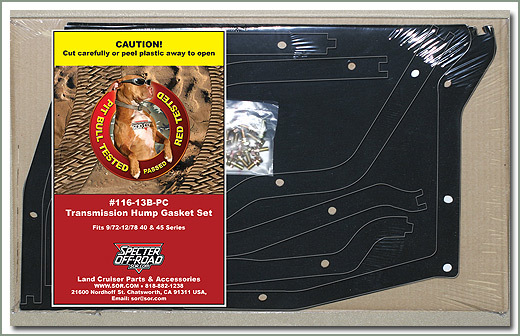 NEW from SOR, pre-cut gasket set for your transmission hump. 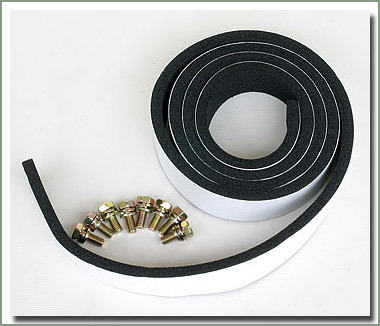 Comes complete with self adhesive back weatherstrip, pre-punched screw holes, and hardware. Easy to install. Restoration quality. Toyota has discontinued many of the gaskets for the transmission hump, but now SOR offers an excellent quality aftermarket Transmission Hump Gasket Set. Comes complete with weatherstrip & hardware. Fits 40, 55, 60 & 62 Series. 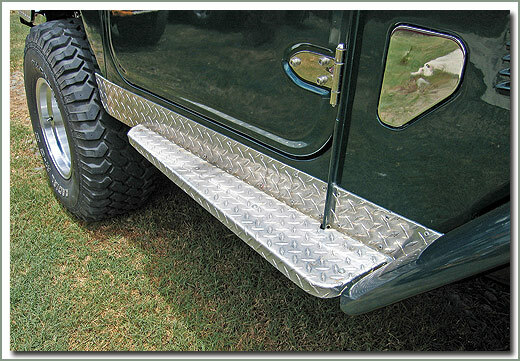 For you 40 Series owners who want to dress-up your vehicle or cover the old running boards, Specter now offers aluminum diamond plate Running Board Caps. 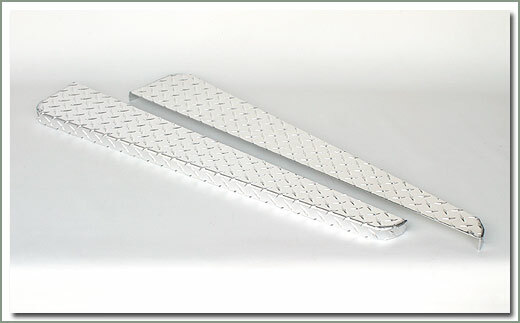 Made from 1/16 inch thick diamond plate. 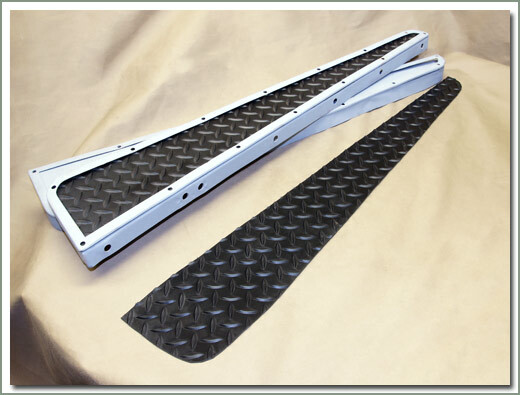 Installation requires removing and reinstalling the original running boards. Drilling is required, hardware not included. Sold in pairs. 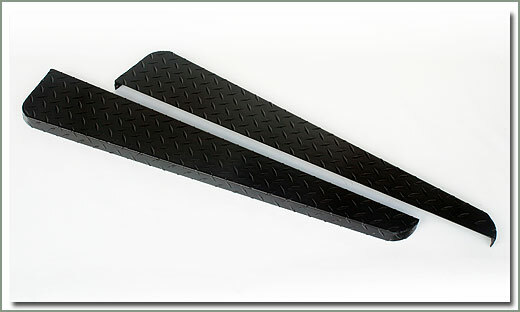 These Running Board Pads are 33 inches long and are available in black Tuff Tread. Fits all 1964-10/69 40 Series.